Are you tired of jumping from one social channel to another, trying to keep pace with the endless interactions and struggling to find relevant content to share with your audience? 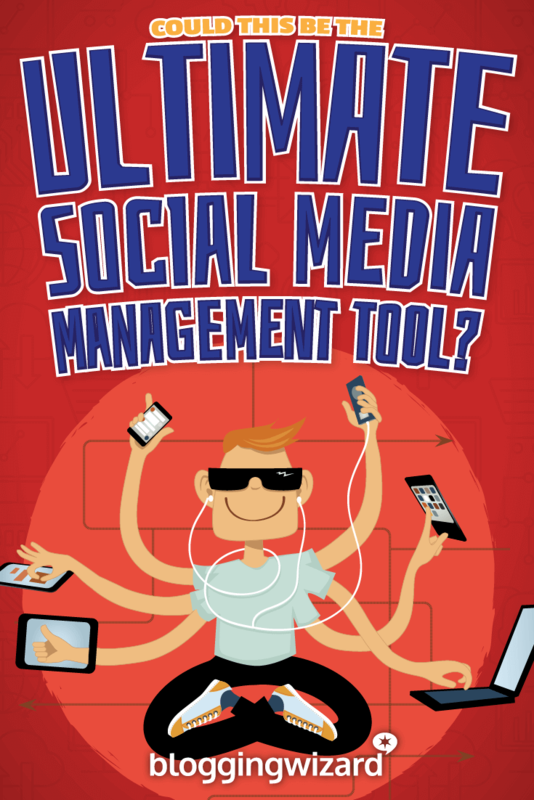 If so, you need a social media management tool. Or perhaps you’re already using one social media tool for scheduling posts and another for reporting? In which case, it’s time to consolidate. In this article, you’ll learn how Sendible can help you to manage, monitor, and measure you and your clients’ social media activities. Sendible is a social media management tool that helps agencies, companies, and individuals boost their productivity on social media. Using the all-in-one dashboard, you can schedule messages, engage with your audience, and measure your performance across all social media channels. How to engage with your followers using the unified social inbox. How to schedule recurring social messages to keep your evergreen content alive. 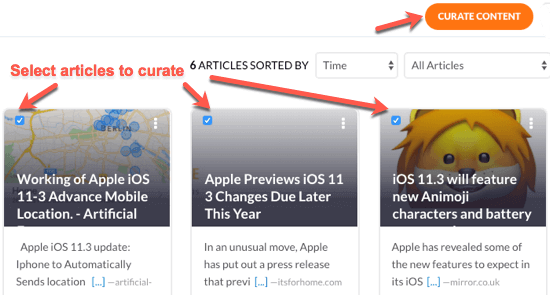 How to find the best-related content to share with your audience. How to monitor your growth to discover what works, and what doesn’t. But it’s important to note that Sendible is a comprehensive tool so it’s capable of a lot more. 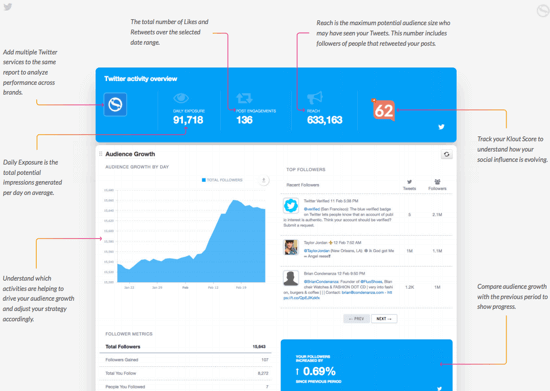 Sendible analyzes each of your social media channels for new posts, comments, and other activities. To help manage your time, you can view and respond to all your messages in one unified social inbox, just like you would for email. 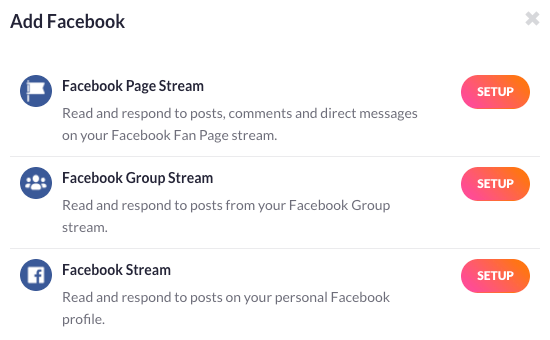 The Priority Inbox combines all your social streams into one unified stream. Note: each stream that you add uses one of your available services that’s included with your chosen Sendible plan. See the Pricing section for more info. 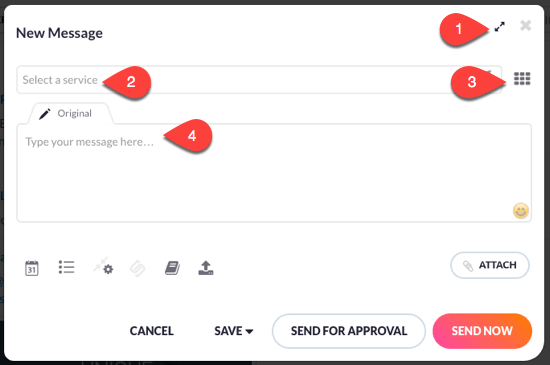 On the left-hand side, (inside the red frame), is the unified stream of the Priority Inbox. On the right-hand side, (inside the yellow frame), are the individual streams of the Priority Inbox. Once you’ve set up your Priority Inbox, you can start handling the messages. 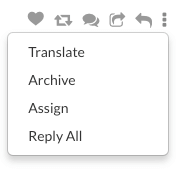 The three ‘hamburger’ dots at the end (yellow frame) offer a few more options; translate, archive, assign and reply all. The Archive option lets you remove a message from the Inbox once you’ve actioned it. This way you know you only have to action what’s remaining. The Assign option lets you allocate messages to different team members. For instance, you may want to distribute the workload, or you might want to get a specialist answer to a query. 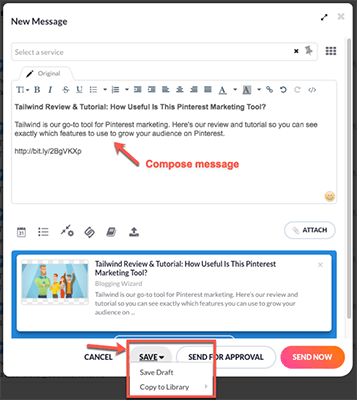 Sendible’s Priority Inbox lets you read and respond to new posts, comments, and other activity from all your social channels in one place. Once actioned, you can clear your inbox by archiving the messages. It’s an excellent way to engage with your audience and manage your workload. 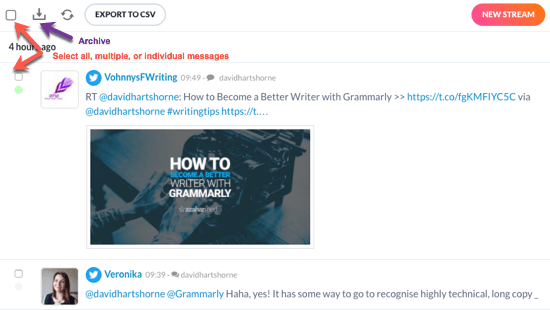 Sendible offers a number of ways to publish messages on social media. From a once only post to evergreen recurring content, there’s a method to suit you. Notice the three additional tabs to the right of the Original tab? These allow you to tailor your message for each social network. For example, you can add hashtags on Twitter, but not Facebook. 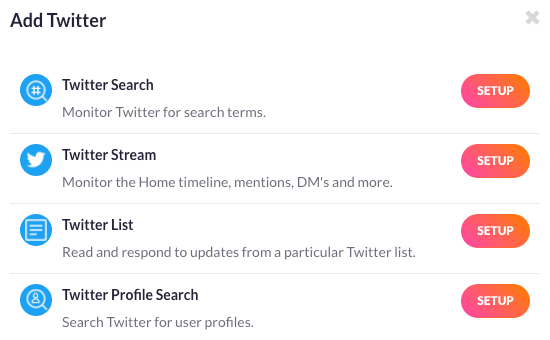 Open the Compose Box and select multiple social media profiles. Click on the appropriate tabs to edit the text and @mentions. 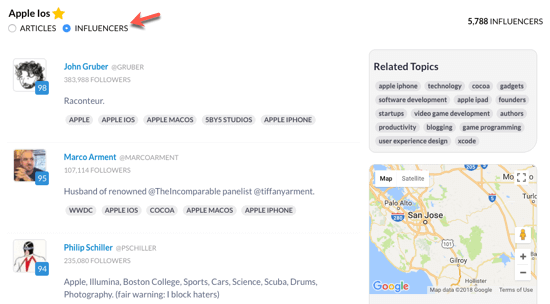 Adjust your tone, add/remove hashtags, and emojis to optimize. Smart Posts saves you time and increases your engagement on social media. Once you’ve composed your message, it’s time to post it or save it. You can send it immediately, but in most cases, it makes more sense to send it later using the Schedule and Queue options. Alternatively, you can use Content Libraries to store content that can be re-used again when composing messages. Let’s take a look at these three options. In the gray shaded drop-down area, you can select the date and time you want the message to be posted. If you click on the clock icon, it sets the optimal time for posting. If you only want to share the message once, you can go ahead and click the Schedule button. 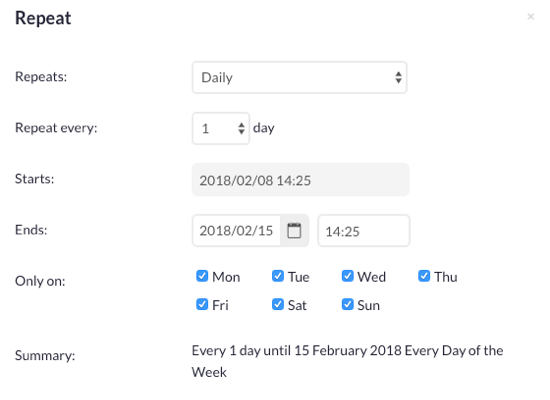 In the example above, the schedule repeats every day for one week. But you can also select from Hourly, Weekly, Monthly, or Annually for your repeat frequency. Now you can either select the Schedule button or, if you’re working as part of a team, the Send For Approval button. In the gray shaded drop-down area, you can select an existing queue you want to use. 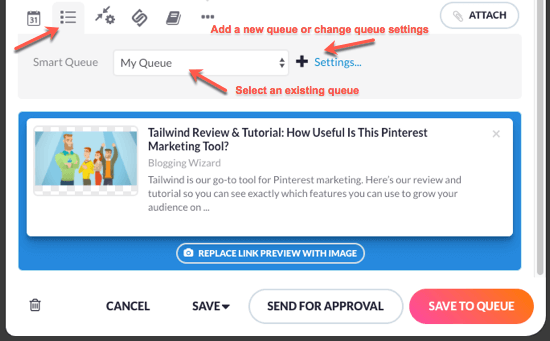 You can also add a new queue or change the existing queue settings. 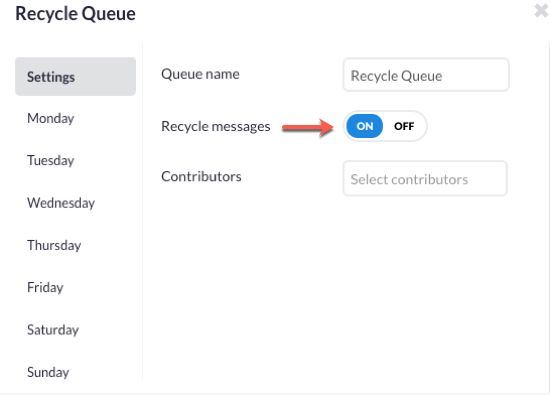 With the Recycle Messages option On, all the messages you add to the queue will be recycled until you delete them from the Queue or turn the setting to Off. To edit or add a specific time slot, just click on it and select the time or type it in. You can click on the clock icon to select the optimal time. To remove a time, select the ‘x’ icon. To add a time, select the ‘+’ icon. For example, I’ve added one time-slot to Wednesday, Thursday, and Friday. Each message that I add to the recycle queue goes in the next available slot. Sometimes it’s not always appropriate to schedule or queue your content. In which case, you can use content libraries to store material that can be re-used again when composing messages. 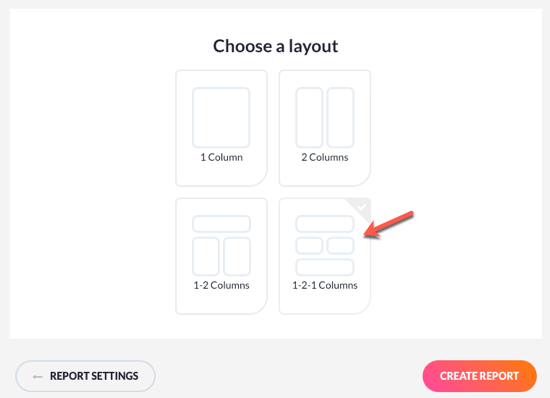 You have the option to Preview and Edit your stored content. When you’re all set, you can share the content using the options mentioned earlier. But the content remains in your library until you Delete it. This is a time-saver in the long run, as you have a library of stored content that you can quickly search and use over and again. 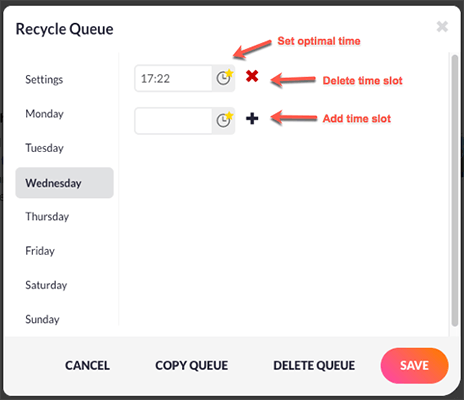 Sendible makes it easy for you to manage the messages you’ve added to your Schedule and Queues. You can still edit scheduled and queued messages; for example, you could change the date and time, update the message content, etc. And in the calendar view, you can drag-and-drop messages to different days if you wish to adjust the order. Sendible offers a wide-range of options to ensure your evergreen content can be shared many times. Use the innovative compose box, content libraries, and smart queues to plan, schedule, and publish your social messages. A good social media strategy includes sharing content from other sources besides your own. 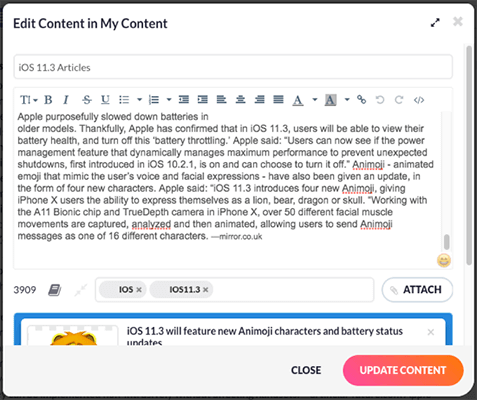 Sendible has two options to help you curate and share relevant content with your audience – Content Suggestions and RSS Feeds. Sendible analyzes posts already shared on social media and then suggests content that’s most likely to generate high follower engagement. Here’s how to use their suggestions. Initial recommendations are based on what you post on your connected Twitter account(s). You can also scroll down to view recent Staff Picks in categories like Technology & Innovation, Sports, Music, and more. 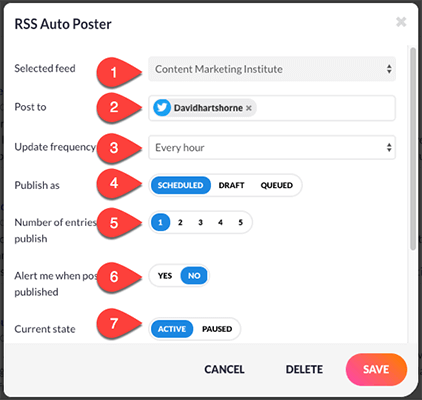 Sendible’s RSS Auto Posting feature lets you publish relevant quality content to social networks at regular intervals throughout the day. Here’s how to use the RSS feeds. Check the selected RSS Feed is the one you want to configure. Select the social services you wish to post to. Select how often the system should check for updates from the RSS Feed. 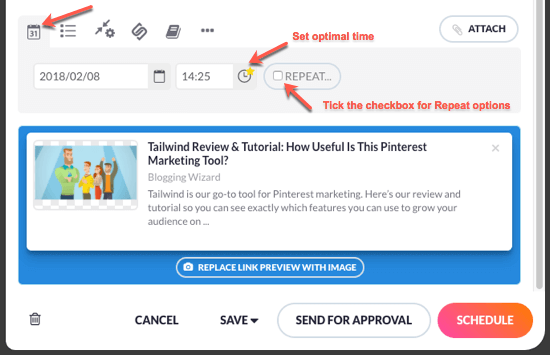 Select whether these posts are sent at regular intervals by choosing the Scheduled option or whether they’re saved to your Drafts or Queued for later. Select the maximum amount of updates to pull from the Feed. Choose whether or not you want an email alert when published. Select whether the Feed is Active or Paused. As you scroll down, there are more advanced settings to fine-tune your auto-posting, but these are the most essential. 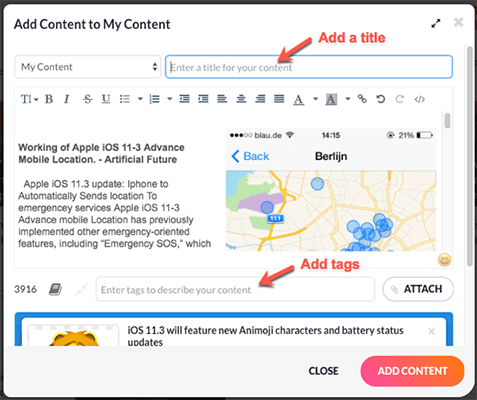 Sendible’s built-in content curation tools help you find and share the best-performing relevant content with your audience. 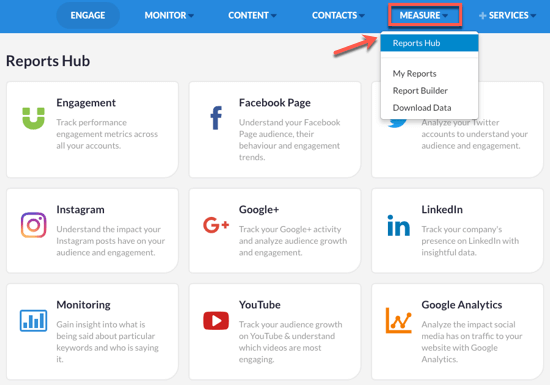 The Measure section is where you can build reports to analyze your social media activity. You can use Sendible’s Reports Hub to get an immediate analysis of your social profiles and activity. Or you can create your own advanced, custom reports with the Report Builder. 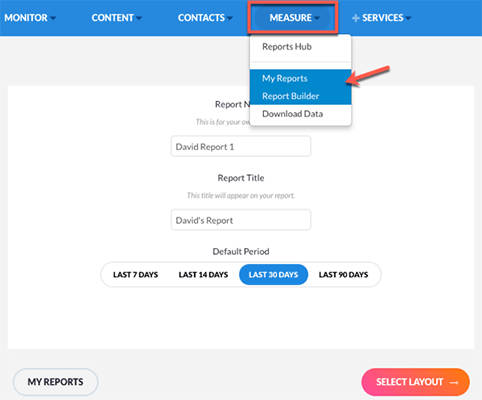 The Reports Hub gives you nine ready-to-go social media reports for an instant snapshot of your social data. The other reports are platform specific, but you can combine multiple accounts. For example, you could incorporate three Twitter accounts. Once you have selected the accounts you want, click Generate Report to view the aggregate Quick Report. Sendible also lets you build your own custom reports. You also have the option to rename or delete sections. And if you’re servicing clients, you can arrange to send the reports via email on a regular basis. 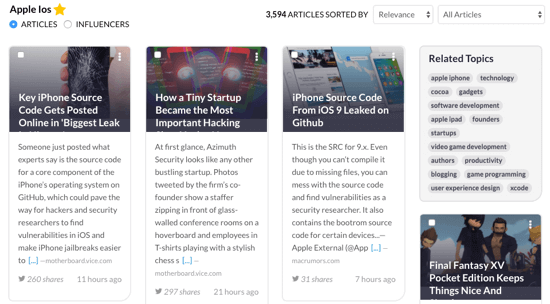 Sendible lets you generate in-depth reports for Facebook, Twitter, Instagram, LinkedIn, and more via its Reports Hub. Alternatively, you can build presentation-ready reports tailored for you, your team, or your clients with the drag-and-drop report builder. Either option takes a few minutes to complete. Prices are based on the number of services that you want. 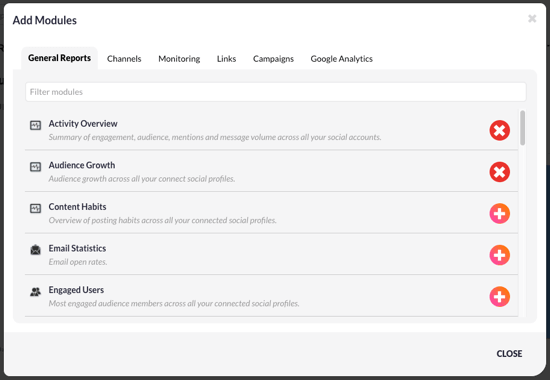 For example, the Small plan lets you manage 16 social profiles and build 6 custom reports with 3 users. You also have the option to purchase additional users and profiles rather than upgrading to the next plan. Sendible also offers a fully-customizable, white-label solution for larger teams and agencies. If you’re not too sure what you’ll need, you can start with a free 30-day trial to see which plan works best for you. Sendible is an excellent time-saving tool that lets you manage you and your clients’ social media activities. It helps you engage with your followers, publish social messages, curate content, and monitor your performance. It takes a while to archive your initial Priority Inbox messages as Sendible loads the previous 90 days of each social stream. A quick clear option would be useful. Summary: Sendible is a social media management tool that helps agencies, companies, and individuals boost their productivity on social media. 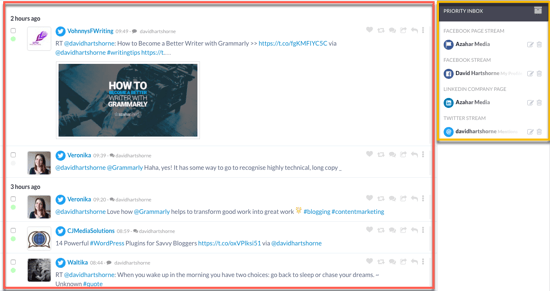 The all-in-one dashboard lets you publish messages, engage with your audience, and analyze your brand across all social media platforms.